Things started good for the Titans on Monday night in Houston, as they built an early 10-0 less than seven minutes into the game. Then, as fast as they took an early double-digit lead, they watched it get wiped out in an avalanche of points by the Texans, who slammed the Titans 34-17 for their 8th straight win. The loss puts the Titans at 5-6, and after the weekend’s results they are sitting as the 11th seed in the AFC in terms of trying to make the postseason. 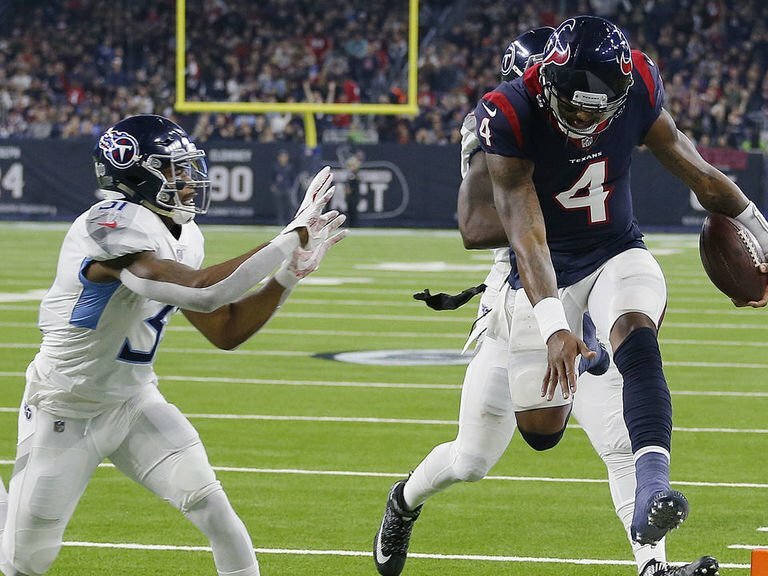 The Titans offense was overmatched against the Texans for most of the night. Texans QB Deshaun Watson finished 19-of-24 for 210 yards, two touchdowns and zero interceptions while adding 70 yards and a score on the ground. Houston running back Lamar Miller ran for 162 yards and a touchdown, and Demaryius Thomas caught his first two touchdowns in a Texans uniform. The backbreaker came when Miller raced 97 yards after a defensive stop at the three-yard line in the second quarter that killed a Titans drive. The touchdown put the Texans up 21-10 at the nine minute mark of the second quarter, and for all intensive purposes, put the game away. Marcus Mariota hit on 22-of-23 passes for 303 yards and two touchdowns, missing his first pass late in the game, but by then it didn’t matter. And now you know why Houston is glad they got rid of these losers! You can take the Oilers out of Houston, but you can’t take the Oilers out of the Titans!